Raumfahrt+Astronomie-Blog von CENAP - Blog: Astronomie - Zum 1. Mal Fotografiert: Die Geburt von Planeten! 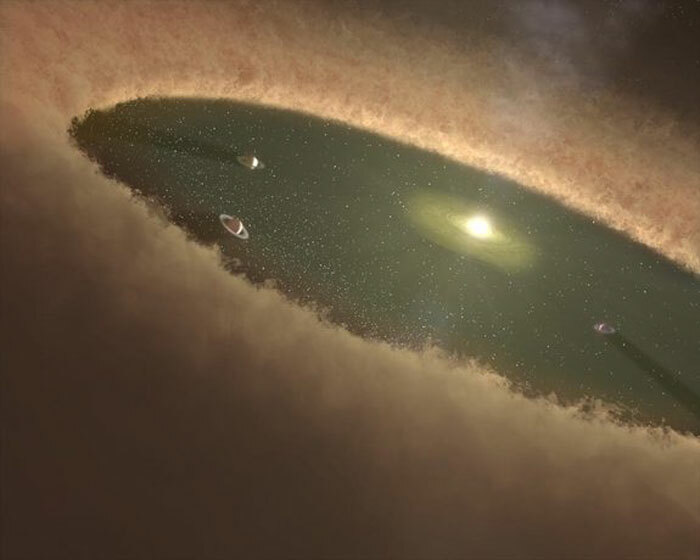 Artist's illustration of planets forming in a circumstellar disk like the one surrounding the star LkCa 15. The planets within the disk's gap sweep up material that would have otherwise fallen onto the star. 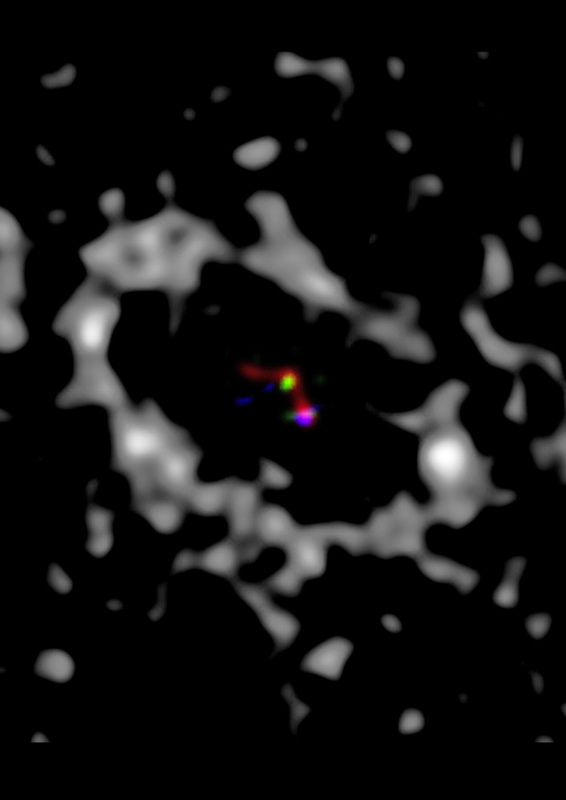 Adaptive optics observations from the Large Binocular Telescope and the Magellan Adaptive Optics System (color scale) show multiple sources in the cleared region of the LkCa 15 transition disk (gray scale). Credit: by Steph Sallum. Gray-scale image generated from submillimeter data published in Isella et al., 2014.